TOKYO: Tokyo prosecutors on Friday filed two new charges of financial misconduct against former Nissan chief Carlos Ghosn, meaning the auto tycoon is unlikely to be leaving his jail cell soon. 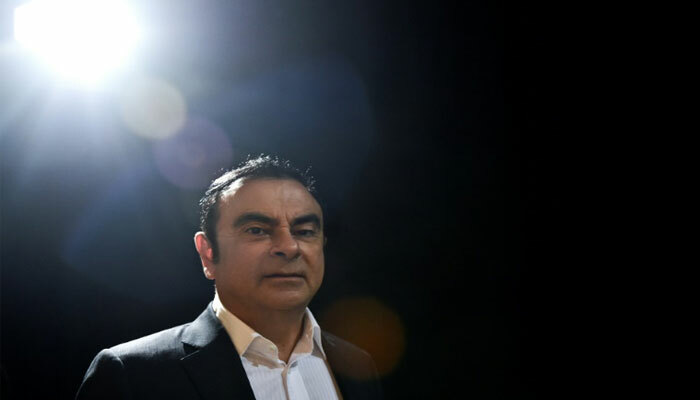 And they include a charge of "aggravated breach of trust" over a complex alleged scheme in which Ghosn is said to have tried to transfer losses on foreign exchange contracts to Nissan´s books. A prosecutor´s office spokeswoman said charges against Ghosn carry a maximum prison sentence of 15 years. The breach of trust charge is regarded as particularly serious, and Ghosn´s lawyer Motonari Otsuru admitted Tuesday it would be "very difficult" to secure bail for his client. Ghosn has appeared in public just once since his shock November 19 arrest, during the Tuesday court hearing called after his lawyers requested judges explain the tycoon´s ongoing detention. Ghosn´s prolonged detention has put the spotlight on Japan´s justice system, which has come in for some international criticism. This week he suffered a fever that prompted prosecutors to suspend their interrogations, though his lawyer said Friday that Ghosn´s temperature had gone back down. The arrest of the 64-year-old has exposed rifts in the alliance he forged and led between Nissan, Mitsubishi Motors and France´s Renault. Nissan said Friday it has filed its own criminal complaint against its former chief "on the basis of Ghosn´s misuse of a significant amount of the company´s funds."